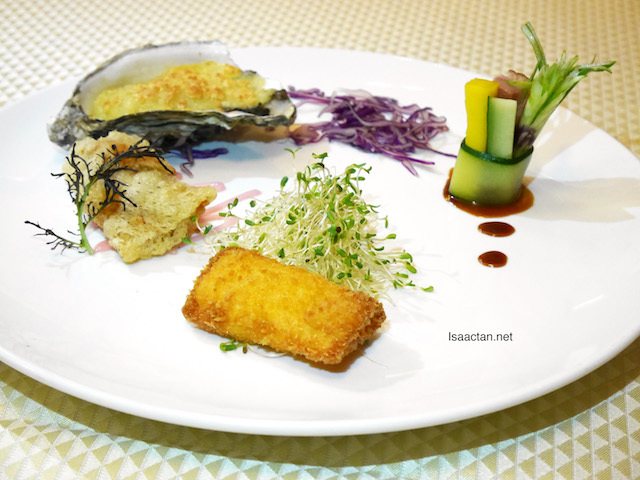 The Malaysia International Gastronomy Festival (MIGF) 2016 is currently underway, and various participating restaurants have come up with their own creations. This October, Chef Lau Yoong specially crafted Unique Seafood PJ23's exquisite 6-course festival menu debut. Pretty sweet tasting, I tried it the other day. Check out what they have to offer below. 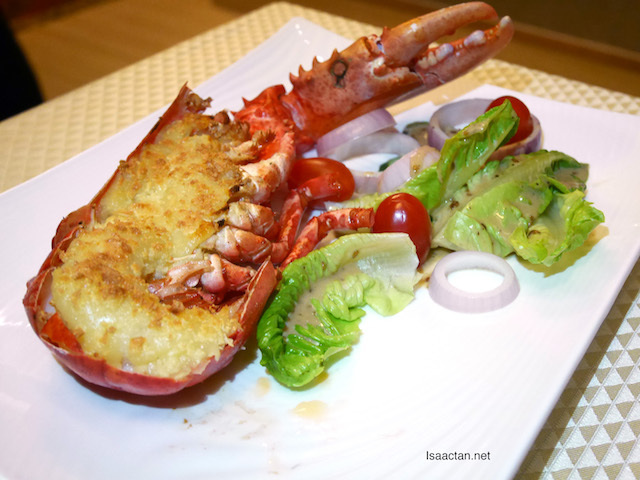 Baked to perfection, the Baked Boston Lobster in French Style shown above came with various cheese melted into the dish. Served with simple salad in sesame dressing at side, this had to be my favourite dish that evening, thanks to the succulent lobster meat. Yum! Unique Seafood is a pork free seafood restaurant that believes in discovering and delivering the finest, freshest seafood for its customers. The main attraction is the aquarium area, strategically located facing the main entrance of the restaurant and features a spectrum of tanks filled with live fishes, prawns, lobsters, Alaskan crabs, clams and abalones etc imported from all over the world. Shown above is the MIGF Menu offered by Unique Seafood. The full Festival Menu is priced at RM298 nett per pax (without wines) and light Festival Menu at RM198 nett per pax (without wines) from 1st to 31st October 2016. A minimum order of two pax is required for MIGF bookings. Aptly named the Unique Four Combinations Platter, we had these beautifully plated seafood noms, featuring oyster, fish, crab and duck prepared in vastly different styles. The cheese grilled oyster takes the cake here, as it was nicely done with lots of cheese thrown in. Simple, yet elegantly presented, this culinary style is nice too, where Chef Lau Yoong showcased his Double-boiled Chicken Soup with nutritious Chinese herbs in Coconut. 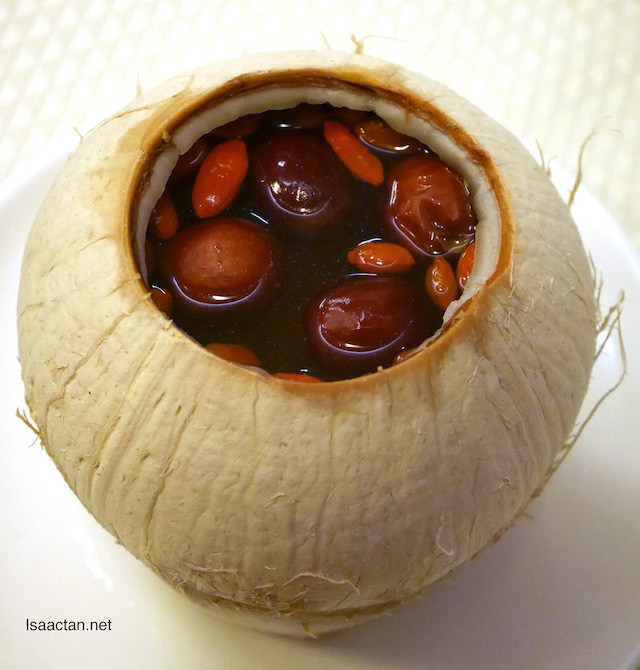 The coconut gives out a rather heavy flavour to the soup, coupled with the chinese herbs, this is a rather strong soup. It tasted refreshingly different though. 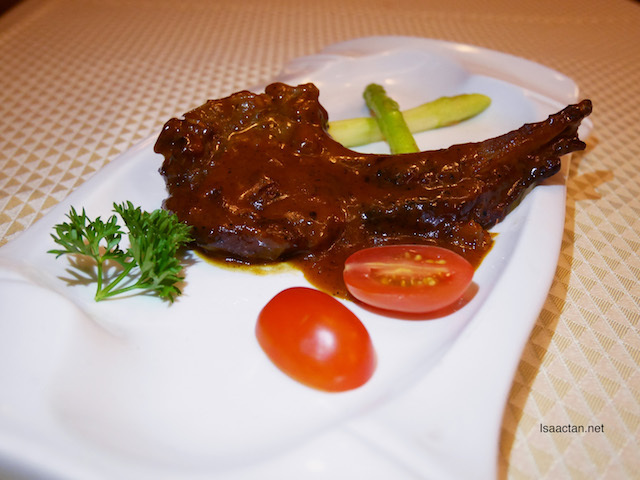 Meat lovers would enjoy this dish, the Lamb Chop in Mongolian Style. Marinated in pepper and sweet sauce, the tender pan fried lamb chop tasted exquisite. Unlike your usual barbeque styled flavours, we had the Mongolian styled flavour which is different, having that sweet yet savoury peppery taste. This suits most Malaysian Chinese taste buds, mine included. 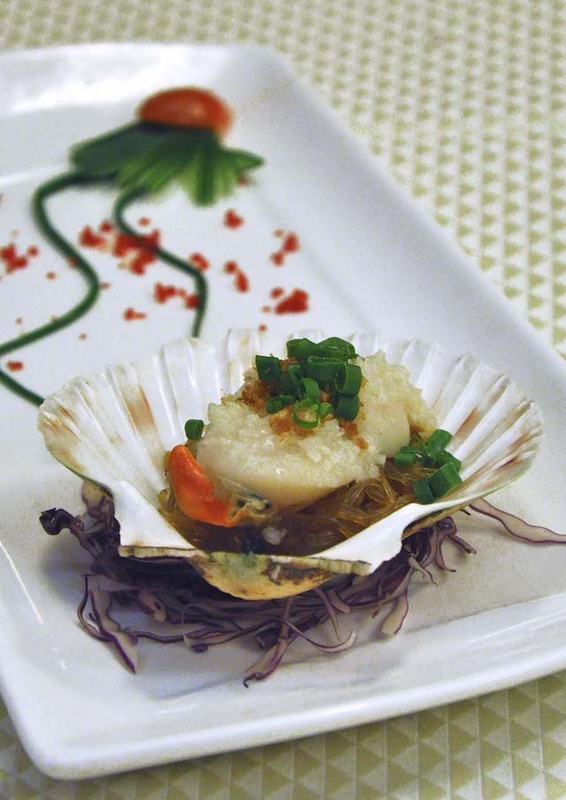 The MIGF menu includes the Steamed Scotland Scallop with Minced Garlic and Vermicelli which had these really fresh and plump Scotland Scallop. For seafood lovers, they would appreciate this. 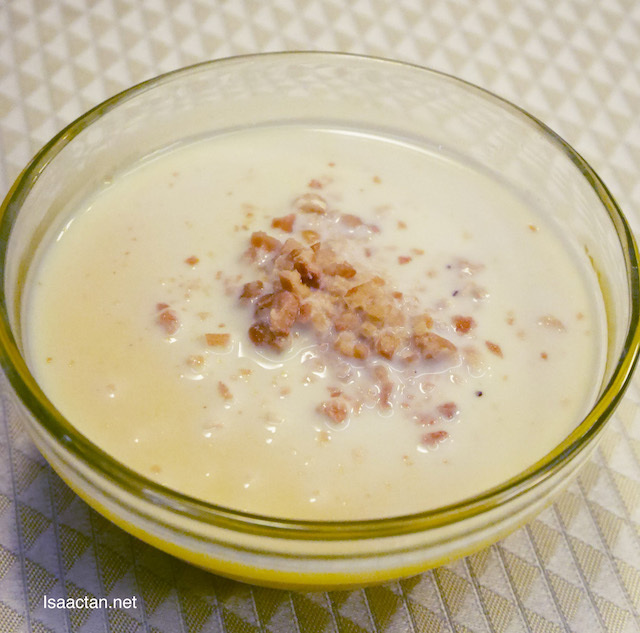 For dessert, we settled with Unique Seafood's Pumpkin Pudding. Do check their MIGF menu out before this month ends. For more information, please visit www.pj23.unique-seafood.com or email to pj23@unique-seafood.com.my. I am drooling for the baked Boston lobster. My budget would probably scream, if I were to order it, though. Lamb chop, Mongolian looks good!